Click here for the live stream! 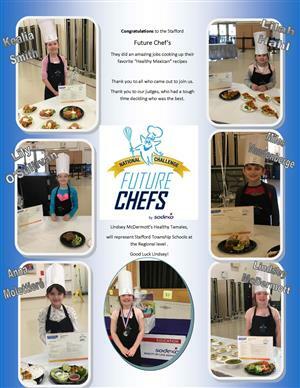 Click here to read an important letter from the Superintendent. Spring is finally here! We have a lot going on in our school district throughout the month including PARCC testing and Arbor Day celebrations. In addition, April is Autism Awareness month. World Autism Awareness Day is devoted to increasing world knowledge of autism and celebrating the unique talents and skills of persons with autism. Our district will be showing support for World Autism Awareness Day by wearing the color blue on April 2, 2019. In addition, this month is “Take Your Child to Work Day”. Due to spring recess, the Stafford Township School District will be celebrating on Thursday, April 18, 2019. Participation in this special day is a unique educational opportunity for an interactive exchange between our students and staff. Lastly, the Stafford Township School District will be closed for spring recess beginning April 19, 2019 through April 26, 2019. I hope you enjoy this time with your family and friends. The Stafford Township School District is proud to announce a new and informative parent video series that will be available to parents by logging on to our district website. Please click here to view the parent video series. 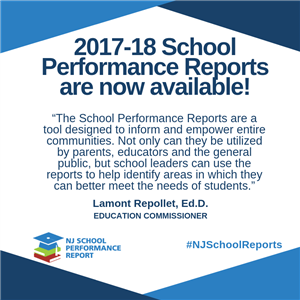 Please see letter below regarding New Jersey's School Performance Reports.